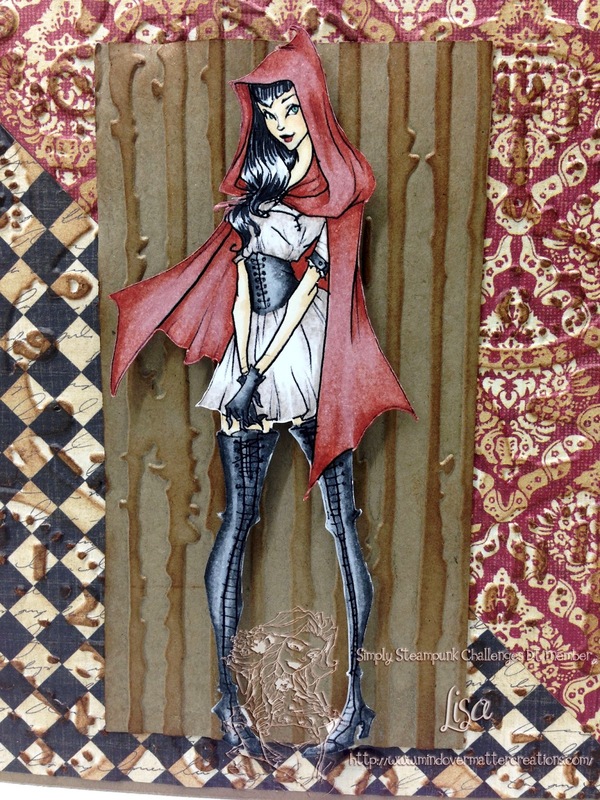 The papers used are loose leaf papers from Hobby Lobby and both are the Paper Studio brand that they carry. The papers have been embossed with a Sizzix Tim Holtz Alterations embossing folder - Pocket Watches. And then inked with Vintage Photo Distress ink to reveal the watch relief. 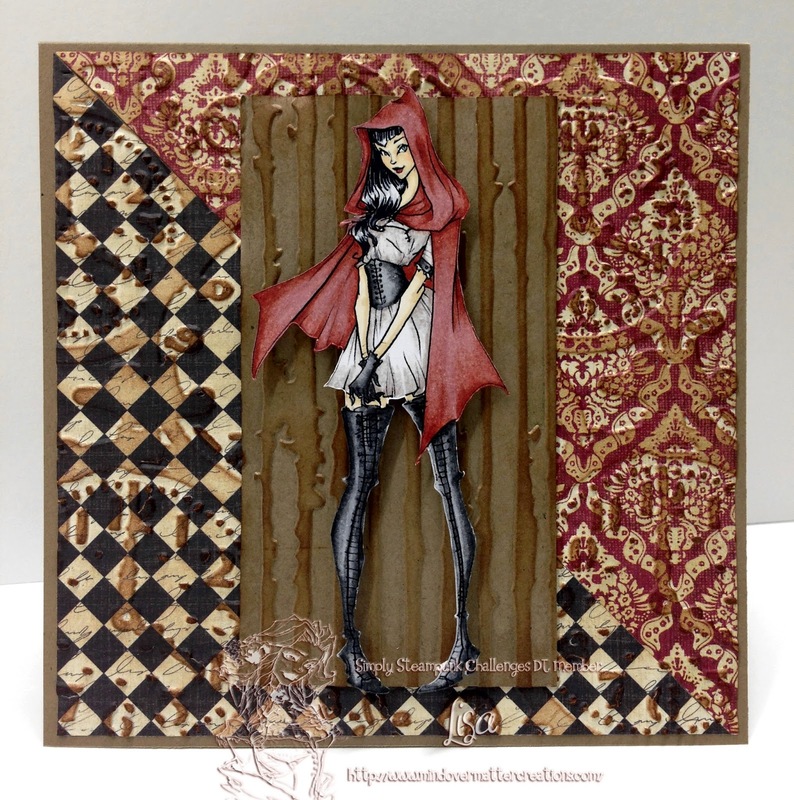 The "wood" behind her is a strip of craft cardstock embossed with an embossing folder by Cuttlebug - Distressed Stripes. 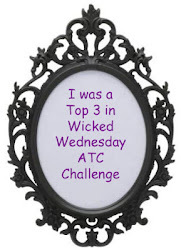 Don't forget about our challenge over at Simply Steampunk Challenges this month, we would love to have you play along! Thank you for spending part of your day with me, I hope to see you again soon. Until then, I pray you have a blessed and creative day.